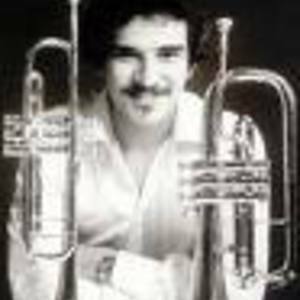 Luis "Perico" Ortiz (born December 26, 1949) is a renowned trumpet player, composer, musical arranger and producer. After he graduated from the Conservatory, Ortiz enrolled and attended the University of Puerto Rico to continue his musical education and where he would eventually earn his Bachelors Degree. In 1967, at the age of eighteen, Ortiz participated as a guest sololist with the Puerto Rican Symphony Orchestra conducted by Pablo Casals. After he graduated from the Conservatory, Ortiz enrolled and attended the University of Puerto Rico to continue his musical education and where he would eventually earn his Bachelors Degree. In 1967, at the age of eighteen, Ortiz participated as a guest sololist with the Puerto Rican Symphony Orchestra conducted by Pablo Casals. In 1970, Ortiz moved to New York City and gained recognition as a talented trumpet player, composer, arranger and producer for his work with the likes of Tito Puente, Mongo Santamar?a, Fania All Stars and David Bowie. He also accompanied Ann-Margret, Dionne Warwick, Diahann Carroll, Trini Lopez, Engelbert Humperdinck, Sammy Davis, Jr., Tony Bennett, Paul Anka and The Supremes with his trumpet. In 1971, Ortiz formed his own band and won the "Diplo" award in Puerto Rico for "The Best Trumpet Player of the Year". He was also awarded four Latin New York Magazine Trophies, "Best Trumpet Player of the Year", "Arranger of the Year", "Best Orchestra of the Year" and "Musician of the Year". In 1981, he was awarded an "ACE" Award for "Best Intrepeter of Salsa Music" and another "ACE" award in 1982 for the "Best New York Orchestra". In 1987, Ortiz and his band set out on a world tour which included the following places: United States, Puerto Rico, South America, Central America and Europe. * Luis Perico Ortiz "JAMMING"